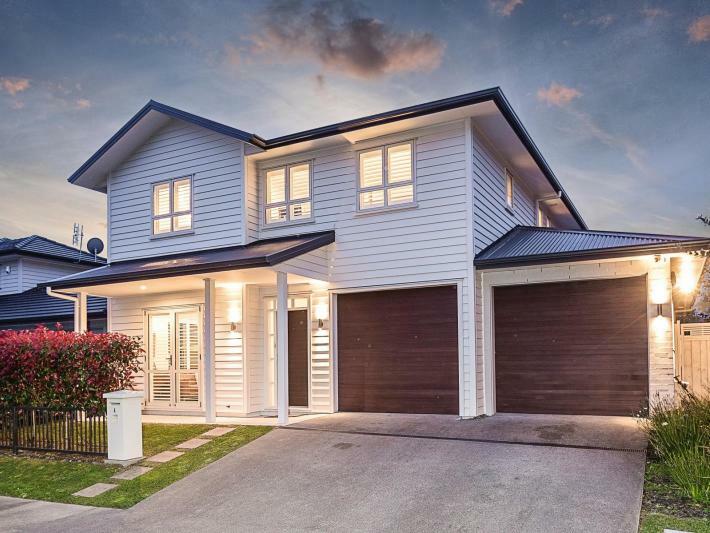 Quality seekers will love this sizeable two-level 'bagged brick' and weatherboard executive home - it simply ticks all the boxes for modern family function. Presented 'near new' this gracious home is all the better for having been lived in. Situated in a tightly held pocket of Stonefields, this Fletchers constructed 'Villa' was one of the last to be completed in this 'preferred' elevated North-Eastern quarter. You'll love the entertainer's kitchen, ease of living flow and appreciate interior touches such as timber painted shutters and stylish wrought Iron balustrade - each add sophistication and style. The ideal 'Beaumont' floor plan uniquely offers a ground level suite perfect for guests or teenage separation. With popular eateries, reserves, parks and plenty of amenities nearby; you'll likely walk Mount Wellington to capture stunning views of Auckland, visit 'The Bays' local beaches and boardwalks, shop the local 'Marketplace' or 'Farro' and enjoy ease of access to schooling and transport links. From here the CBD is less than ten kilometres away. A compelling low maintenance family home and perfect solution for busy professionals, families and lifestylers looking for 'hassle-free' in a community where you can lock, leave and live in peace of mind.